Learn how to gray-out non working days, and enable dependencies. 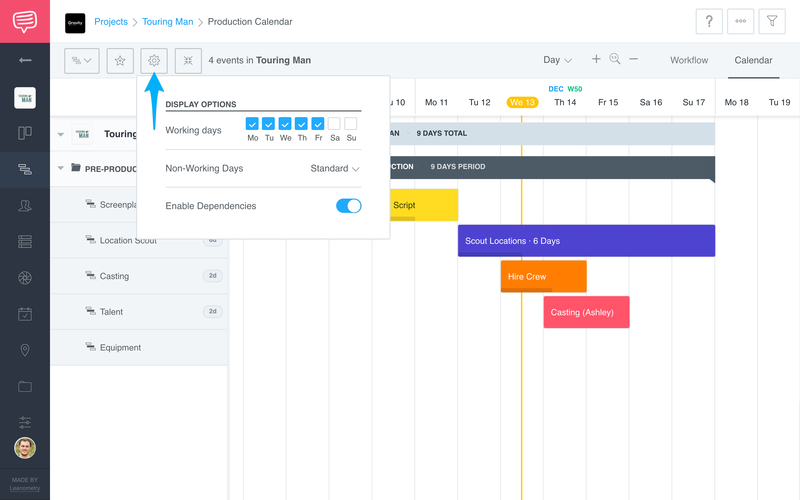 Adjusting the display options on your production calendar will help tailor that are custom fitted to your particular project. Click the Display Options icon to access your calendars display settings. 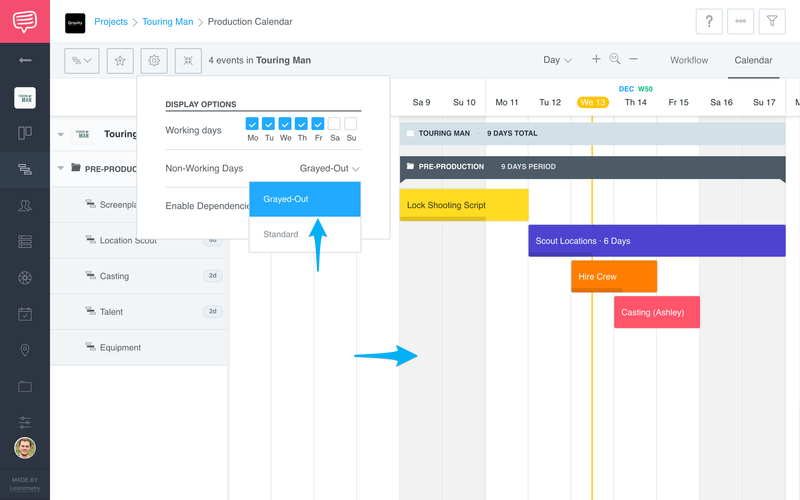 Use Checkboxes to indicate which days are working days. 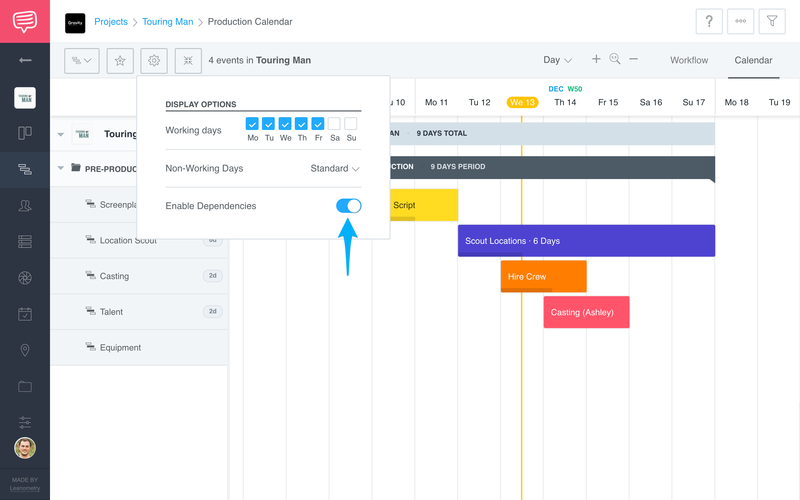 Make non-working days easily visible by switching to Grayed-Out. Dependencies allow you to link events together, but you can toggle them on or off by using the switch available in Display Options. Tip: To scroll horizontally on your calendar, simply place your cursor on the middle of the page and scroll left or right.